Globalization has created an interconnected world that demands that today’s children become globally competent adults to succeed. Raising Global Children provides the rationale and concrete steps for parents and teachers to help children develop a global mindset. 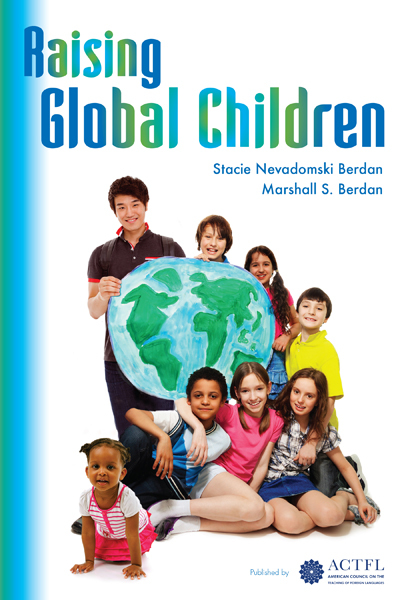 Written by international careers expert Stacie Nevadomski Berdan and veteran travel writer Marshall S. Berdan, Raising Global Children is enthusiastically praised by parents and professionals alike as a book that will change the way you think about raising and educating children. Packed with practical information, hundreds of tips and dozens of real-life stories, this combination parenting-educational advocacy book is the first of its kind to detail what raising global children means, why global awareness is important and how to develop a global mindset. Download FREE the 10 Tips for Raising Global Children poster: RGC Poster 11×17 or RGC Poster 8.5×11. Pingback: At What Age Can You Teach a Global Mindset? Hi, Martha. I don’t have a Spanish version of the poster. But if more people are interested, I will create one!